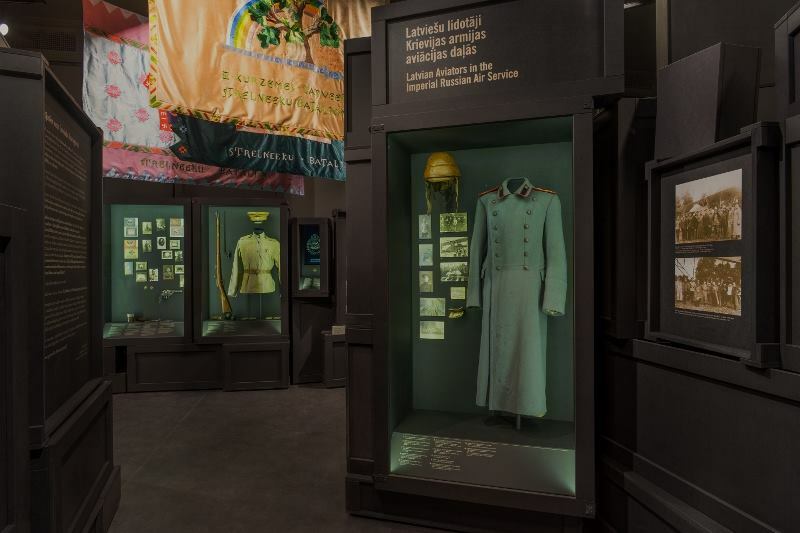 Artglass™ by Groglass® protects and makes more visible valuable historical evidences from the First World War (WWI) at the Latvian War museum – one of the oldest and largest museums in Latvia. The First World War marked a major turn in the history of world. It deconstructed the lives of nations and individuals. Even more, nobody and nothing was left unaffected. Latvia lost 1/3 of its pre-war population. However, the war brought not only losses. The collapse of empires paved the way for the Latvian people to establish their own country. Helplessness, uncertainty, pain, insecurity. But also patriotism, hope and longing. These emotions were always present in the WWI. 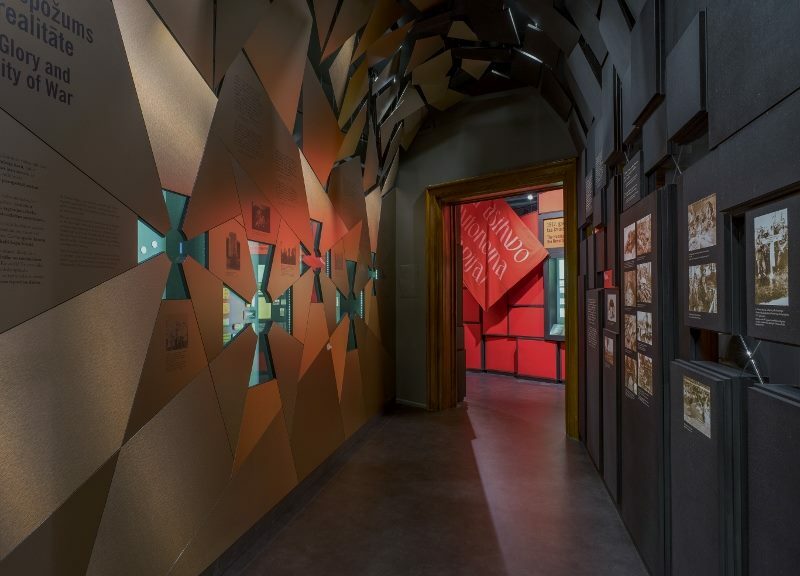 The leading design studio H2E took the emotions, the stories of the historians, the real historical evidences of the war and interpreted them into a spatially emotional 5 dimensional experience. Exhibition design concept is deconstruction. Space disappears, emerge war edges. White sheets with soldiers’ letters engage visitor, specially created short movies bring to life the stories of central exhibits. 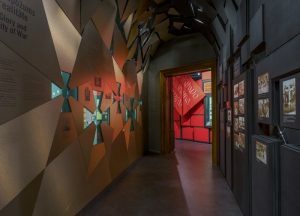 Piles of stylized ammunition boxes carry multi-level digital and manual narrative within the 380 m2 of exhibition space, while creating almost endless passages of frontline trenches. The trenches intuitively and emotionally lead visitors through the exploration of content. Visitor never knows what will happen around the corner, as it was during the war. 1231 historical exhibits have silently kept the memories and stories within them. Exibited in differently sized showcases of stylized ammunition boxes creating no emotional boundary between the visitors and exhibits by using the invisible glass Artglass™ by Groglass®. 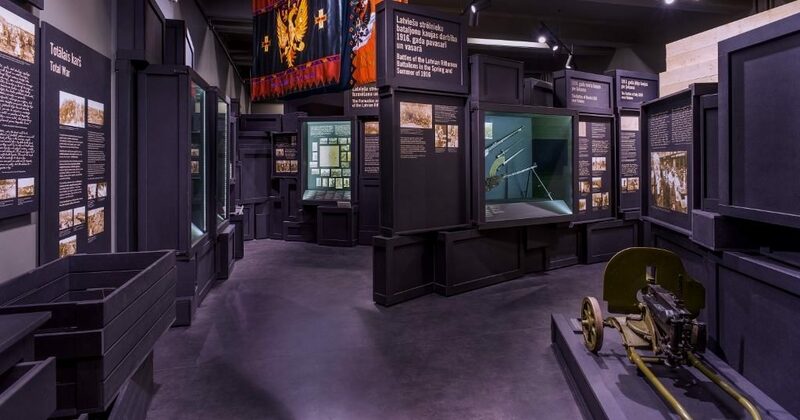 Embedded touchscreen monitors give an in-depth information on specific themes, illustrated maps inform about the course of the war. Animated, large-scale audio- visual projections introduce and end the exhibition by giving a strong emotional and intellectual message. While visitors explore the content, they inconspicuously hear sounds and songs audible closer and farther, for example, soldiers sing about their daily lives, and feel the scent of flaxseed oil that is applied on the ammunition boxes, adding the fifth dimension to the experience.